A California woman is launching a 500-billion-dollar lawsuit in connection to the nationwide school bribery scandal. Jennifer Kay Toy filed a class action complaint in San Francisco Superior Court yesterday against actresses Lori Loughlin, Felicity Huffman, and 40 other defendants. The former Oakland teacher claims her son and other children did not get a "fair chance" in gaining admission to colleges and universities caught up in the cheating scandal. The defendants are accused of conspiracy, bribery, and the use of charitable organizations to hide illegal payments. Federal prosecutors are accusing celebrities and wealthy business leaders of rigging the college admission system. 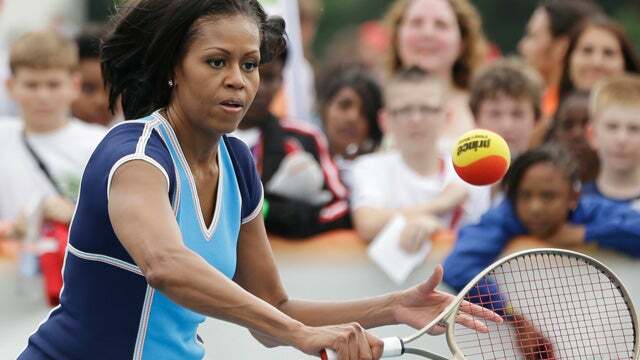 RUSH: The Obama family tennis coach was among those charged in the college admissions scheme. Did you know this?